Wi-Fi speakers are an easy option to recommend. You might be a millennial looking to upgrade from a Bluetooth speaker, or an audiophile seeking to downscale from a component-based system -- either way, a Wi-Fi speaker could very well be the ticket. But most Wi-Fi speakers aren’t much to look at: Sonos made the mold with its own nondescript designs, and most companies since have used Sonos as a template. With its line of Heritage Wireless speakers, Klipsch is doing something different. The Heritage models have a “mid-century modern” look that references the early days of hi-fi, when speakers designed and built by Paul W. Klipsch (1904-2002), with their wood finishes and horn-loaded drivers, adorned the pads of audio enthusiasts worldwide. The black-mesh grille and walnut-veneered cabinet (ebony is available) of the Heritage Wireless Three ($499 each), a sample of which Klipsch sent me to review, puts it more in the company of Klipsch’s vintage Klipschorn (1946), Heresy (1957), and La Scala (1963) models than typical 21st-century Wi-Fi speakers. It’s a good look with deep roots in a storied history. Klipsch gives you multiple ways to connect to the Three. First, there’s DTS Play-Fi, which lets you stream uncompressed signals of up to 24-bit/192kHz using your smartphone or tablet. As with other Play-Fi products, you can link the Three with other Play-Fi-compatible speakers for synchronized multiroom playback. The Play-Fi app’s integrated services include Tidal, Pandora, Amazon Music, SiriusXM, Qobuz, and Deezer, and it can be set up to stream from a DLNA media server. The Three also supports Spotify Connect (requires Spotify Premium account), aptX Bluetooth, and playback from a computer plugged into its USB Type-B port. 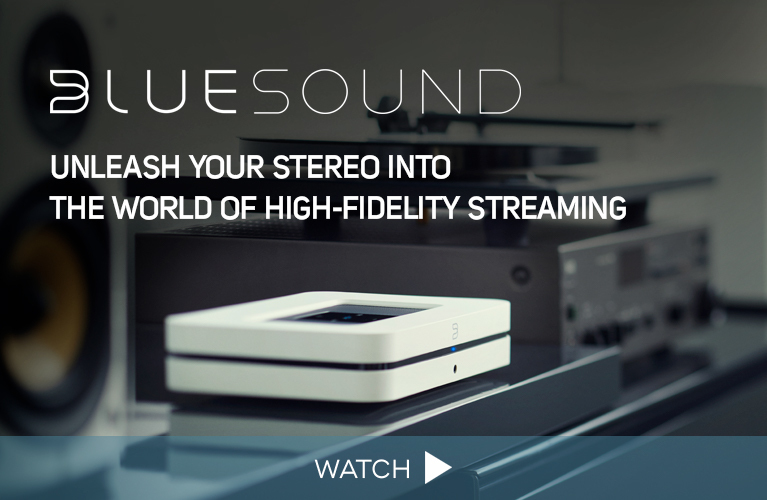 Other inputs on the Three include a 3.5mm analog stereo jack and, in keeping with the theme of mid-century modern, a moving-magnet phono input that can be configured as a line-level connection with the flick of a toggle switch. Klipsch includes both a 3.5mm auxiliary and a USB cable. Along with a toggle to power the speaker on and off, two copper-colored knobs on the speaker’s top let you adjust volume and switch sources; an LED blinks to confirm these controls’ status. Klipsch includes a compact remote-control handset that duplicates these controls, and also lets you mute the sound, and govern track playback for Bluetooth- and USB-connected sources. Measuring 13.7”W x 7”H x 8”D and weighing 10.3 pounds, the shoebox-size Three has a decent heft. Two 2.25” drivers in its sealed-box cabinet deliver the midrange and high frequencies, while a 5.25” woofer handles the bass, aided by two 5.25” passive radiators. Klipsch specifies the amplifier’s power output as 60W continuous (<1% THD), and its maximum output as 106dB. The frequency response is 45Hz-20kHz, -3dB. I first placed the Heritage Wireless Three near my wireless router and configured it as a Play-Fi speaker, using the DTS Play-Fi app. Klipsch offers its own branded app, Klipsch Stream, but it’s basically the same as the standard Play-Fi version. After linking the speaker to my Wi-Fi network, I moved it over to the low bookcase in my bedroom that serves as my standard test location for all-in-one speakers. I was impressed with how swanky the Three looked in its new environment -- there’s definitely something to be said for wood-accented Wi-Fi speakers. With my Tidal, Spotify, and Pandora credentials entered in the Play-Fi app from previous product tests, I was ready to start streaming through the Klipsch Heritage Wireless Three. As I listened to “Holy Low,” from New Zealand folk-rocker Nadia Reid’s Listen to Formation Look for the Signs (16-bit/44.1kHz FLAC, Scissor Tail/Tidal), Reid’s voice sounded crisp and intimate, and the double bass and acoustic guitar accompanying her had full, natural tones. When a twangy electric guitar eventually joins in, the sound was fluid and unstrained, and extended beyond the speaker’s outer boundaries. Moving around the room, I heard consistent sound from the Three, which had no trouble filling the 1500-cubic-foot space. Up next was “Darling,” from Real Estate’s In Mind (16/44.1 FLAC, Domino/Tidal). The 12-string electric guitar in this track has sounded too trebly through a number of all-in-one speakers I’ve reviewed; with some, the sound was actually grating. Through the Klipsch Three, the guitar resonated freely without sounding harsh. Martin Courtney’s voice and the accompanying keyboard also had a warm quality that filled out the sound. My only complaint with this track was the kick drum: it sounded a bit lumpy compared with the bass guitar’s more nimble presentation. Switching things up with jazz, I next played “Giorgiantics,” from Django Bates’ Belovèd’s The Study of Touch (16/44.1 FLAC, ECM/Tidal). It sounded great through the Three, which conveyed the interplay of piano, bass, and drums in a sprightly, dynamic manner. Petter Eldh’s double bass was well defined, with such details as the slap of his fingers on strings coming across clearly. Bates’s piano sounded warm and well integrated, and there were good senses of spaciousness and separation between instruments. While by now it was clear that the Three’s sound was relatively full-range for an all-in-one, I wanted to hear how well it would hold together with more challenging recordings played at high volumes. It faithfully conveyed the barrage of deep-bass notes and beats of “Produk 29 ,” from Aphex Twin’s Syro (16/44.1 FLAC, Warp/Tidal), but I also heard distortion that indicated that the woofer and/or the passive radiators were being overdriven. To continue the punishment, I played The Great Gate of Kiev, the concluding section of Mussorgsky’s Pictures at an Exhibition, with Oliver Knussen conducting the Cleveland Orchestra in the orchestration by Leopold Stokowski (16/44.1 FLAC, Deutsche Grammophon/Tidal). The Klipsch passed this test, delivering unstrained swells of strings and brass, as well as natural reproductions of the sounds of chimes and orchestral bells, the latter adding depth to the sonic image. The timpani rolls at the end of the work retained a good amount of their power and drive, and this time I heard no distortion. I couldn’t let the Klipsch go without testing its phono stage, and so lugged it into my main system and connected it to a Pro-Ject Debut turntable. Classic rock seemed the way to go -- I played “Can’t You Hear Me Knocking,” from the Rolling Stones’ Sticky Fingers (LP, Atco COC 59100). The sound was fat and full, with powerful bass, and crisp renderings of Keith Richards’s guitar and Charlie Watts’s drums. Bobby Keys’s tenor-sax solo was also powerfully presented, sounding raw, brassy, and distinctly forward in the mix. 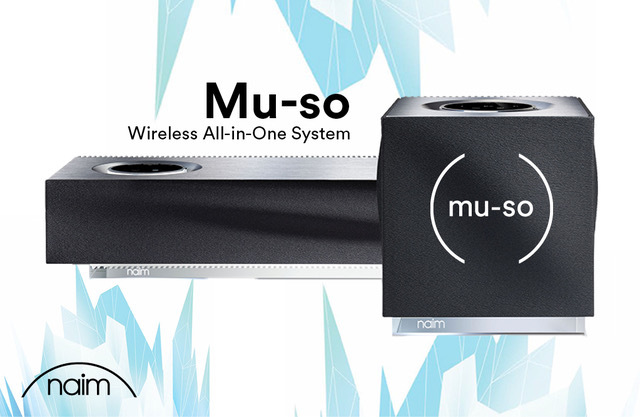 For a comparison, I called in Naim’s Mu-so Qb, another stylish all-in-one that costs about twice as much as the Klipsch Heritage Wireless Three. From Nadia Reid’s “Holy Low” I heard deeper bass extension and more spaciousness through the Klipsch. The Naim’s sound was richer in midrange detail, however, and had a better sense of continuity. The same qualities carried over when I listened to Real Estate’s “Darling,” the Naim providing the added benefit of bass that sounded quicker and tighter than through the Klipsch. With Django Bates’s “Giorgiantics,” both speakers delivered natural reproductions of his trio’s acoustic instruments. A bit of extra treble sparkle from the Klipsch made it more engaging with this track, however, and its sound better filled the room. The Mu-so Qb weathered the Aphex Twin track well: I heard no distortion or other artifacts when I pushed the volume into the punishing zone. The Mussorgsky, too, had a dynamic sound, though images were narrower, and the impact in the concluding section was less thunderous than through the Klipsch. Here are the main differences I heard between the Naim and the Klipsch: The Three delivered higher output, deeper bass extension, and wider soundstages, while the Naim has a more detailed, refined midrange, and is better able to handle dynamic content. Take your pick. The familial design Klipsch has continued in the Heritage Wireless Three gives it a distinct edge over generic-looking Wi-Fi speakers, and the speaker’s phono input makes it a uniquely well-equipped all-in-one model. None of this would matter if the Three didn’t sound good, but it delivers in that department as well. If you want a Wi-Fi speaker that can also play LPs and has a cool, vintage look, look no further than the Three.